Chest congestion is caused by inflammation in the lungs due to an infection. The most common infections that develop into chest congestion are the common cold and bronchitis. The common cold typically affects the upper-respiratory system, including the chest, nasal passages and throat. Bronchitis is the inflammation of the bronchial tubes, or airways. According to the University of Maryland Medical Center, ginger has been used in traditional medicine to treat inflammation. Ginger has not been evaluated by the FDA. The common cold is a viral infection that causes inflammation in the sinuses, the throat and lungs. MayoClinic.com states that more than 100 viruses can cause the common cold. The common cold is not curable, but the symptoms are treatable. Bronchitis primarily follows a respiratory infection, mainly among young children, the elderly or people with lung disease. If you experience chest congestion, see your doctor for a proper diagnosis. Ginger has its roots in Asia, where the herb grows in moist soil. Ginger has been used for over 2000 years to treat various conditions, according to the University of Maryland Medical Center. 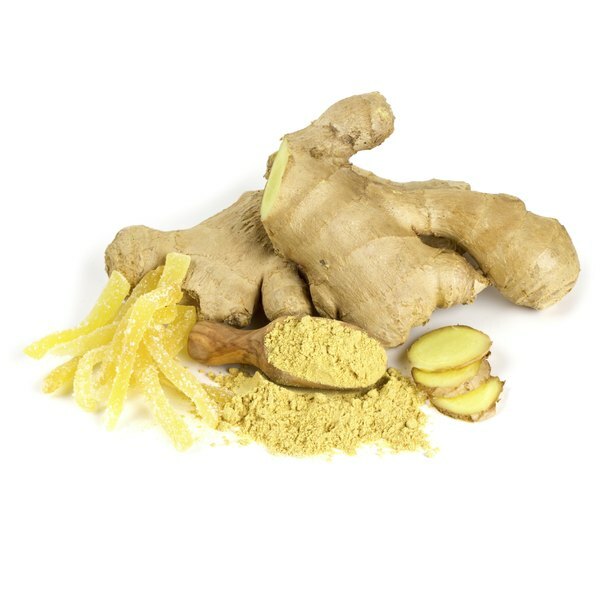 Today, ginger is used to help treat heart conditions, colic, arthritis and diarrhea. Ginger is also used to help treat motion sickness, to increase appetite and alleviate diarrhea, according to Drugs.com. Although not confirmed, the herbal spice may help treat flu-like symptoms, the common cold and headaches. Talk with your doctor before using any herbal remedy to treat a medical condition. If you doctor approves the use of ginger for chest congestion, ask her for a recommended dose. Ginger may help reduce the amount of inflammation in the airways, restoring normal breathing. The herb can be taken orally in its raw state or with herbal supplements. Most supplements remove the taste and smell to prevent body odor. Ginger should not be used by people with gallstones, gallbladder disease or diabetes. Anyone who has a bleeding or blood clotting disorder, or heart problems should not take any herbal supplements that affect the thinning of the blood. Ginger may interact with heart medications, aspirin, warfarin and nonsteroidal anti-inflammatory drugs, such as ibuprofen. Purchase ginger in an herbal tea form and drink it multiple times a day. The warmth of the tea entering the throat can help to soothe and reduce inflammation in the lungs. Just like lard in a frying pan melts, so thick mucus in the chest will thin-out when hot liquid is introduced.